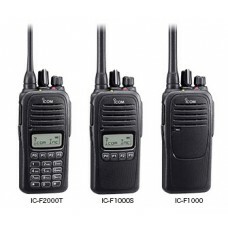 Icom's new addition to their Land Mobile line-up, the IC-F1000 (VHF) & IC-F2000 (UHF) has superior water-tight protection. 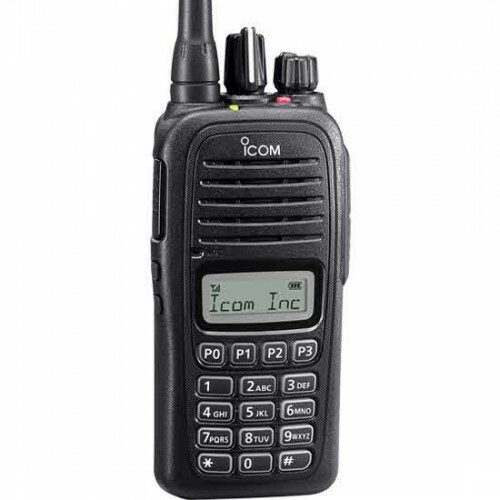 With an IP rating of IP67 this radio can withstand 1m depth of water for 30 minutes. It's dust-tight construction prevents the intrusion of powder dust, sand, mud and anything else you can throw at it! The supplied waterproof Li-Ion battery pack, BP-279WP provides approximately 14 hours of operating time under normal usage. The battery has been designed for reliability in extremely cold environments. The large 36mm speaker provides a full 1.5 watts of clear audio, making it the market leader. 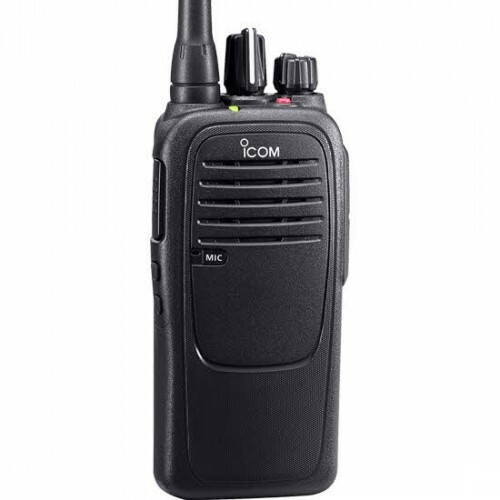 The built-in BTL amplifier doubles the audio output power and delivers loud and intelligible voice to a radio operator working in noisy environments. With the Channel Announce feature when you rotate the channel knob, the radio announces the channel number. Convenient for making radio adjustments without having to look at the radio. 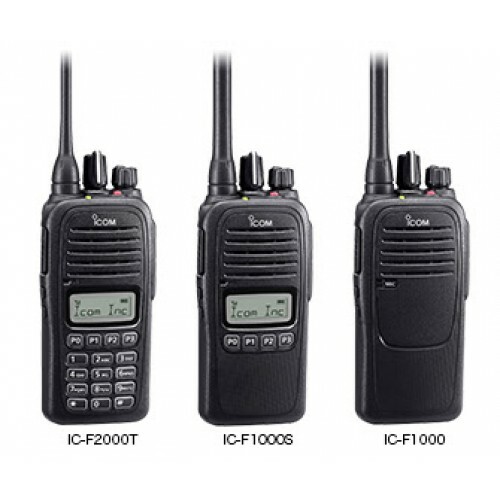 The IC-F1000 / F2000 has built-in 2-Tone, 5-Tone, CTCSS and DTCS signaling capabilities for group communication, or selective calling. The Lone Worker function activates when the radio is not operated for a preset period, the radio sounds beeps and requires the user to push any button to reset. If the radio is not operated for a preset time, an emergency signal is automatically transmitted to inform co-workers that something may have happened to the individual worker. The Emergency function is activated with the press of a single red button located on the top panel, used to transmit an emergency signal. A new built-in motion sensor in the IC-F1000 series can detect its position, state of motion and non-motion, and can send an emergency signal. The motion function detects if the transceiver is moving or shaking, for example, during a chase. When this function is turned ON, the beep is not heard and the back-light and the LED indicator do not light, even when a signal is received, or a key is pushed. This radio is requires an FCC license to operate. We can assist you with getting a license... click here to get your FCC license.